BBC Look North came to West Winds Tearooms in Buckden to mark the 40th anniversary of the opening of the Dales Way, the well known long-distance footpath that runs from Ilkley through the Yorkshire Dales to Bowness-on-Windermere. 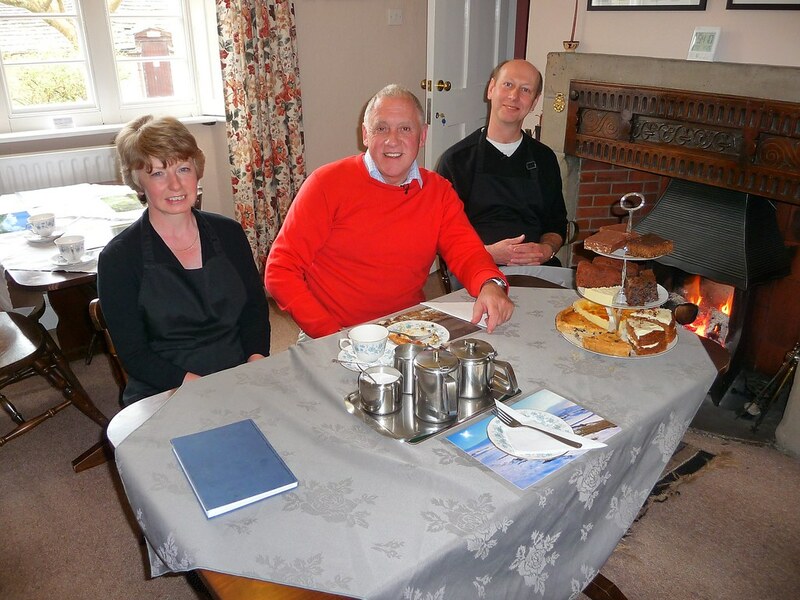 Legendary presenter Harry Gration was filmed in the tearooms enjoying some Yorkshire curd tart, made to a recipe that's been in the family for generations. You can see the BBC Look North feature by clicking here. Tucked away in the stone-built village of Buckden in Upper Wharfedale at the heart of the Yorkshire Dales, the tearooms at West Winds offer lunch, afternoon tea, snacks and gorgeous home-made cakes. Our Food with a Story menu showcases fine produce from Yorkshire and across northern England, muich of it with a story to tell. West Winds is the perfect place for eating out in the Yorkshire Dales, on special occasions or just as you’re passing by... In summer, sit and day-dream amongst the wood sculptures in our tea-garden or follow the herb trail of 50 cultivated and wild plants with culinary, medicinal or pot pourri uses. When it's a chilly autumn day, make the most of our log fire inside. 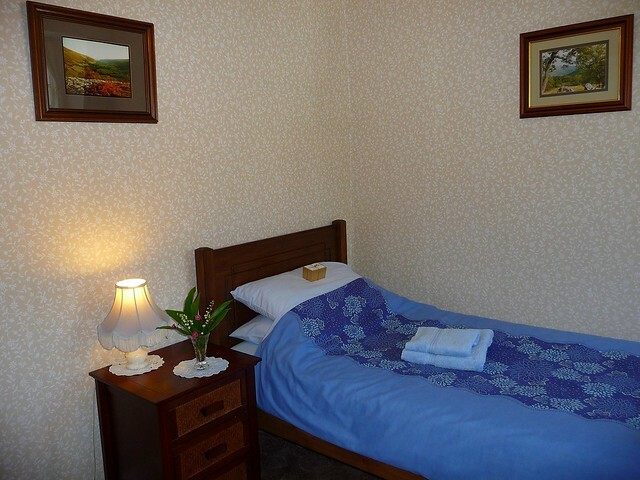 Our Walker's Lodge offers affordable, comfortable overnight stays with optional breakfast and packed lunch. Our position on the Dales Way, Wainwright’s Pennine Journey, Lady Anne's Way and the Inn Way makes us a must for trail walkers and our accommodation is also ideal for weekend walkers, families and small groups. 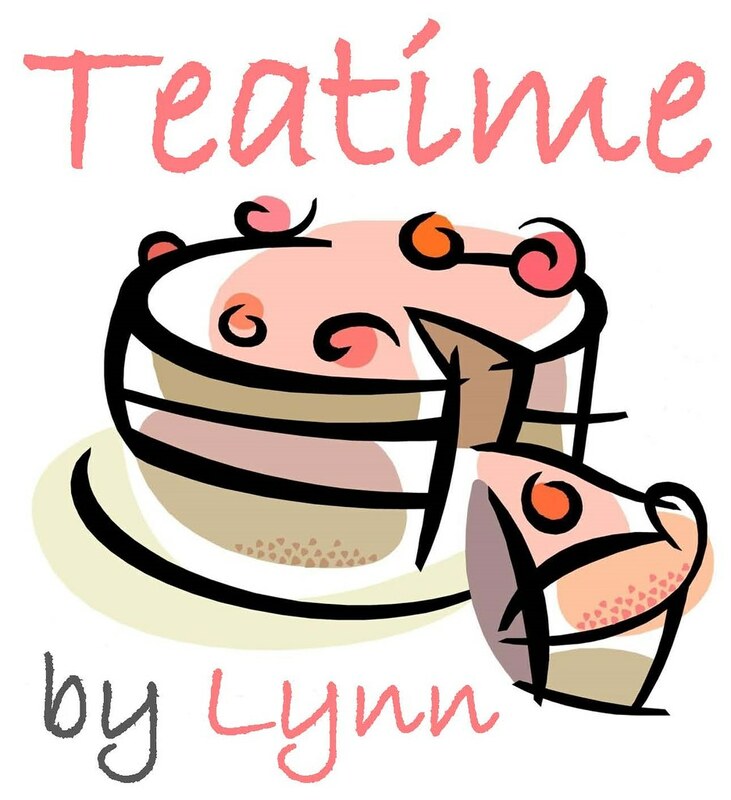 If you come to West Winds for the night, you’ll be greeted with a pot of decent tea and home-made cake. In the morning, if you'd like us to provide breakfast, there’s a wide choice of cooked and continental options to choose from. 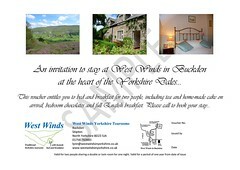 If you'd like to give someone a gift that they'd really appreciate, why not buy a West Winds gift voucher? 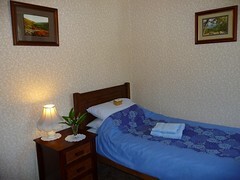 It can be made out to any amount for any combination of food, drink and accommodation. 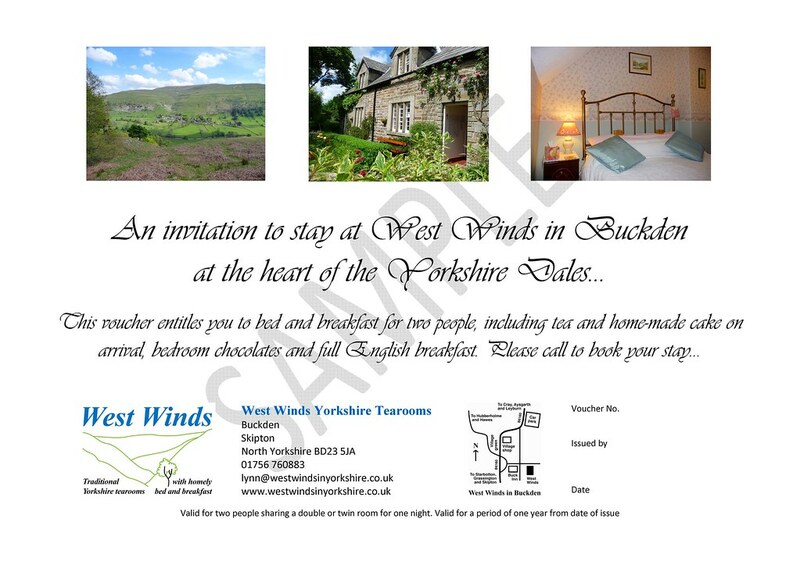 Within the Yorkshire Dales National Park, Buckden is a special place to visit. This delightful stone-built village sits in splendid isolation at the very top of Wharfedale, a place where little changes and time moves reassuringly slowly. We’re tucked away in a quiet corner of Buckden but we’re still very easy to find. We aim to deal promptly with all enquiries. Many of the delicious cakes, pastries and savouries served at West Winds are available for you to enjoy in the comfort of your own tearoom at home. 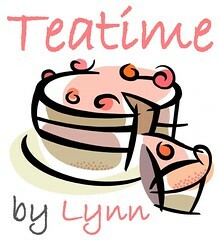 We can offer a range of tasty teatime treats, baked to order specially for you.